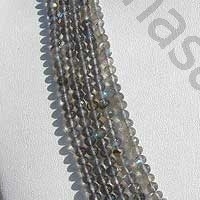 Get the powers Labradorite in stunning shape faceted rondelles. 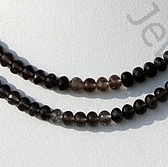 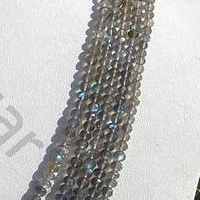 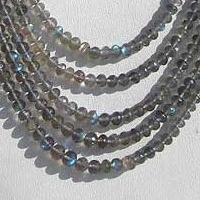 The Labradorite Faceted-Rondelles can be easily used in jewellery. 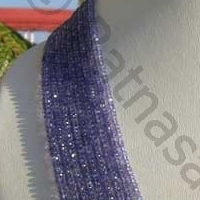 Ratna Sagar Jewels is one of top manufacturers and suppliers of premium gemstone beads, including Turquoise, Labradorite, Sapphire, Cats eye Scapolite and Tanzanite faceted rondelles shape. 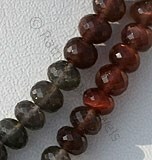 Feel more energized with the divine power of fine quality and AAA certified gemstones. 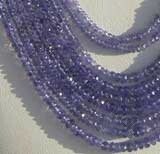 All our stones are micro-cut with the use of latest gemstone cutting technology. 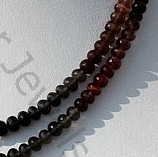 We have a team of skilled artisans who ensure that gemstones supplied to our valuable customers are flawless, 100% natural and gleaming. 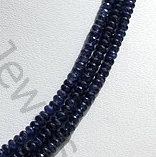 We export gemstones in different colors, like deep blue, light blue, black, yellow and green, to name a few. 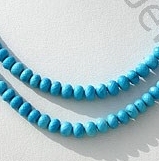 Browse through a wide assortment of precious and semi-precious gemstones and buy the one you love, we will customize it in faceted rondelles shape as per your requirement. 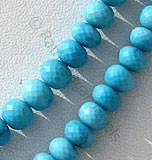 Natural translucent black colour with yellow blue green power in micro cut, Faceted Rondelle Shape. 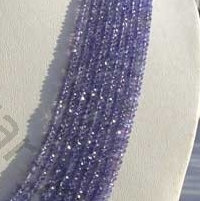 Natural non heated Sapphire Precious Gemstone possess property of transparent and are available in Blue color with micro cut , Rondelle shape. 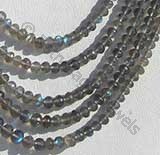 Natural Cat's Eye Scapolite Gemstone possess property of translucent and are available in grey with red brown color with cat's eye effect in micro cut, Rondelles shape. 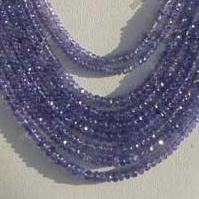 Natural Tanzanite Gemstone Beads possess property of spar transparent and are available in Exotic Purple Blue Color with micro cut, Rondelles Shape.